As a thank you for your loyalty as a customer and choosing me as your Stampin' Up! demonstrator, I invite you to join my First Klass Customer List and earn Red Carpet Rewards towards a shopping spree of up to $50 worth of any current Stampin’ Up! products. How do YOU get on the list and start earning rewards...? It's pretty simple, really. 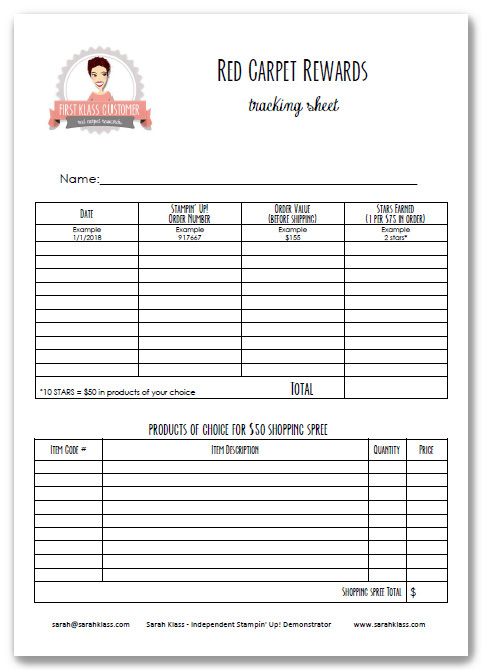 I will confirm your order tracking and star tally as soon as possible and place your shopping spree order within one week of redemption. Please allow an additional 7 to 10 days for delivery as standard. ** Host code must be added for the order to qualify for stars. 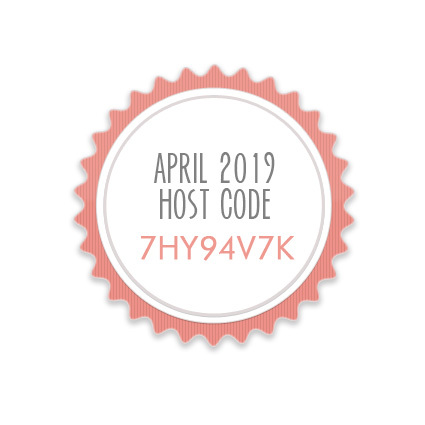 If you forget to add the code to your order, email me at sarah@sarahklass.com before the last day of the month and I will do my best (but can’t promise) to have the code added for you manually. The easiest way is to add the code to ANY order up to $250, that way you will always qualify for your stars.